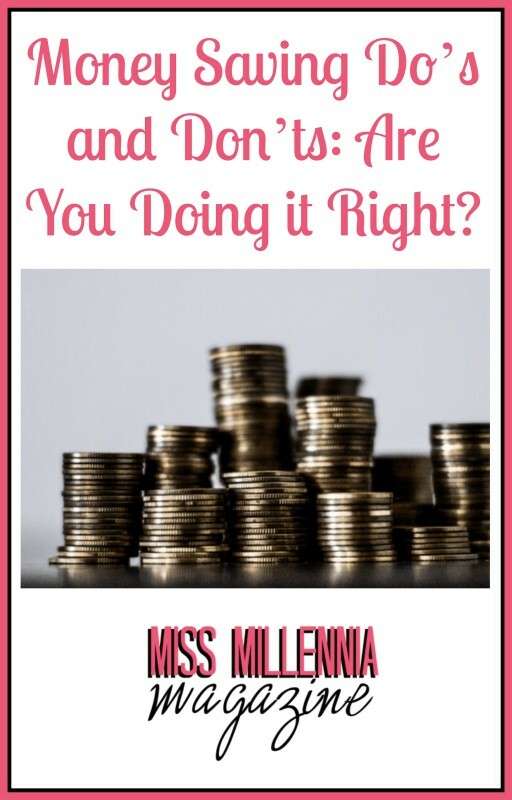 Money Saving Do's and Don'ts: Are You Doing it Right? Money Saving Do’s and Don’ts: Are You Doing it Right? Money is, unfortunately, essential for living. For many of us, especially for recent graduates and younger people, we are used to living on a paycheck to paycheck cycle. Whether or not you still live on that cycle, saving money can be very difficult. There is very little time devoted to financial education in our schools and as such, very few students know how to properly save money. If you don’t take steps to learn about finances, you may find yourself struggling with money in the future. Saving money is necessary and it should be given greater importance in our lives. Imagine if something were to happen that required you to have access to a significant amount of money, many of us would not be able to come up with the cash without applying for a loan, or borrowing the money in some other way. It’s not something that people want to do, but looking at your finances and evaluating your saving habits is a good step to take every few months to make sure you are doing the most you can to having a financially stable life. If you take steps now to save yourself some money, you will see some payouts in the coming weeks and months. Let’s see the things you should and shouldn’t be doing to save money. Deal with Debt First. If you’ve ever had to pay off student loans, you know how quickly interest drives up what you owe. You’re better off paying down your high-interest debt rather than putting money into a savings account because you will ultimately pay less back if you pay off the interest quicker. Find a Better Checking and Savings Accounts. You could be leaving a lot of money on the table if your existing accounts have been overhauled. New accounts of all kinds generally pay a lot more interest than old defunct ones, but the banks aren’t too quick to let you know so you have to shop around your area to figure out what would be best for you. Make sure to ask your friends and family what they use and what they get as benefits. Make Saving a Regular Habit. Don’t just save random amounts of cash when the mood takes you. Fix a regular amount you can stick to and don’t deviate from it. That’s the key to saving money efficiently. 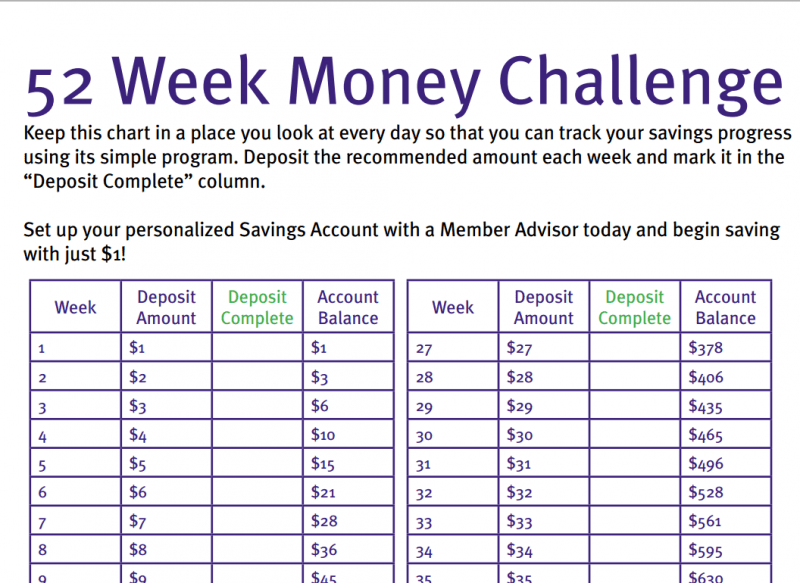 For a good way to get started, check out this 52 week money saving challenge. Long Term Savings Accounts. You’ll always want to have some cash ready for emergencies, but look into transferring another sum into a higher interest, 90-day account if you can manage it. Look at opening a 401K so you can save money for your retirement. Make a budget. This is the best way to work out where your money is going and ensure you don’t waste any cash unnecessarily. This can be the key to unlocking an amount to save each month, even when it seems like you can’t manage it. Use Apps. There are tons of money savings apps on the market today, from apps that pay you for shopping to money management apps. Mint is the biggest one of them all since it allows you to manage your money from every account that you have. Every transaction is automatically recorded and categorized. 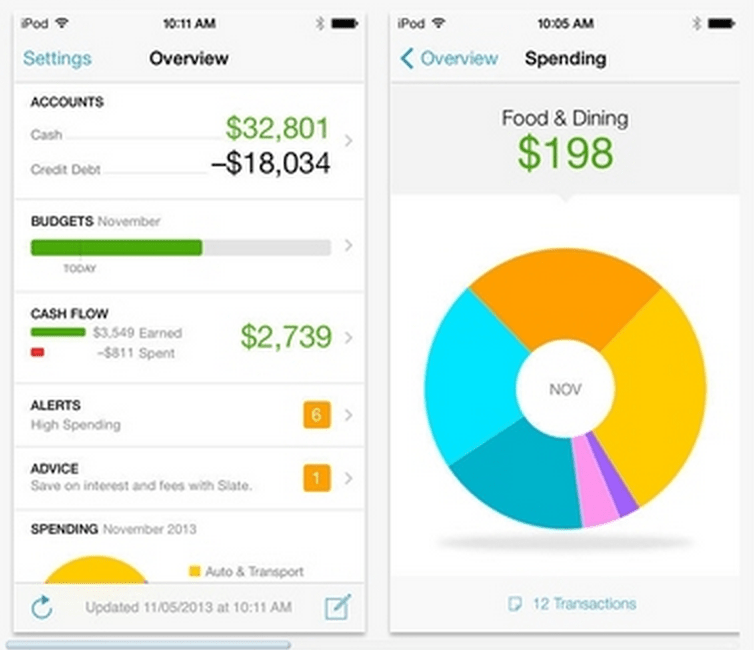 Mint makes note of your spending patterns and creates a budget. Additionally, on the iPad, it generates graphs to give you visual representations of your net worth and cash flow. Do not live on high-interest credit. Borrowed money is just that, borrowed. Whenever you pay off a loan you will have paid back more money over time than you originally borrowed and spent. Living on credit cost you much more than you think. Save at Home. Some people think having cash at home is still saving. Putting spare coins in a jar is one thing, but saving wads of cash is another. If you find you have surplus cash lying around all the time, you will be far more likely to spend it as it is laying around than you would be if it were in a bank account. Put Off Saving. You will always find excuses to keep putting things off, and saving money is no different. Starting with something, no matter how small, is a start in the right different. Dip Into Your Savings. If you can, put the money in a savings account which doesn’t have instant access if you don’t think you can keep your hands off it. This will eliminate temptations to dip into it since it won’t be so easy to access. Leave Your Savings Last. This is where a budget will come in handy. Work out how much you need to survive and then arrange for a specific sum to be transferred into your savings account every month, just after you get paid. That way you won’t forget to do it. There are lots of other money saving tips that would make your savings grow, but if you stick with these dos and don’ts, you will soon see the cash piling up more quickly. Saving money is all about creating good habits. This won’t be achieved overnight, but you’ll be surprised at how even the smallest changes can make a big difference to your bank balance.